I’d say we’re all pretty lucky. 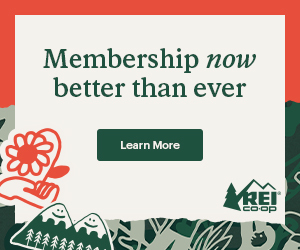 We’re lucky to be hiking in a time when there are comprehensive and yearly updated guidebooks, water reports, and GPS apps at our fingertips, plus an outdoor gear industry that produces cutting-edge, lightweight equipment. Taking on a great outdoor adventure like the Appalachian or Pacific Crest Trail means navigating a world of blog posts, YouTube channels, and gear lists that can make planning overwhelming. So when it is all too much? At what point does our preparation begin to infringe on the experiences we’ll have on the trail? We learn a lot through experiences. We can’t control the weather. Especially in Colorado’s San Juan Mountains. Anyone who has hiked a long trail understands that it’s not all glamorous. Often it’s dirty and painful, and full of unexpected circumstances no amount of planning can prepare you for. It’s admirable that some outdoor writers and vloggers don’t sugarcoat the lifestyle as being all perfect sunsets and trail magic parties because any aspiring thru-hiker getting ready to take on their first trail should have some understanding of how hard it’s going to be. Bloggers should share photos of their blistered feet and steep terrain mixed in with beautiful woods and sweeping vistas, but it’s the feelings we all get while hiking that can’t be summed up in photos. If there is too much information circulating out there, then not everyone is granted the adventure of self-discovery through making mistakes on the trail. We learn through experiences. By miscalculations and adapting. By moving forward when circumstances cloud our path. That, to me, is the most incredible part of long-distance endeavors. I set out on my first thru-hike with a four-pound tent and a three-pound backpack. It was what I owned, and I underestimated how “heavy” that would be for my petite frame. It only took a few weeks before I was cutting off straps and excess fabric to make modifications to lighten my pack. If we take the learning experience out of it, we’re also taking out the opportunity to problem solve and find creative solutions. It’s through these learning experiences when we discover the most about ourselves. We familiarize with leaning into our emotions, navigating new and uncomfortable circumstances and establishing routines within changing scenery. A thru-hike is a deeply personal journey where we become completely in-tune with the way our bodies are feeling and the emotions that we carry with us. If we don’t allow ourselves room to add depth to our character, we may miss out on a pivotal part of the journey. Unforeseen circumstances in New Hampshire’s White Mountains. Planning is an exciting part of building up the anticipation of getting on trail. A level of base knowledge decreases your risk going on any backcountry endeavor, and a thru-hike is no different. It’s equally important, though, to keep ourselves in check and resist the urge to overplan. I’m talking binge-watching YouTube vlogs, reading endless blog posts, dialing in a perfect gear list, and stalking #pacificcresttrail hashtags on Instagram. When we do this, we create expectations rooted from anxieties telling us to learn everything and ignoring the need for space for unknowns. This creates a narrower idea (perhaps unconsciously) of the hike we will have and puts blinders up to opportunities that might arise. Chances are, the experience that YOU will have will be very different from someone’s videos you watched or your friend who hiked it two years ago. When events occur that are outside of our control, expectations limit our ability to adapt and let go. Then, when the experiences we have on trail don’t exactly match what we had envisioned, it feels like a disappointment. Maybe we don’t categorize it as disappointment, but not having the experience we are prepared for or had envisioned is a large reason folks end their hikes earlier than planned. There’s a letdown of some kind and they can’t recover from that. In this world of information, we need to regulate what we see or read in order to allow ourselves an individual experience. 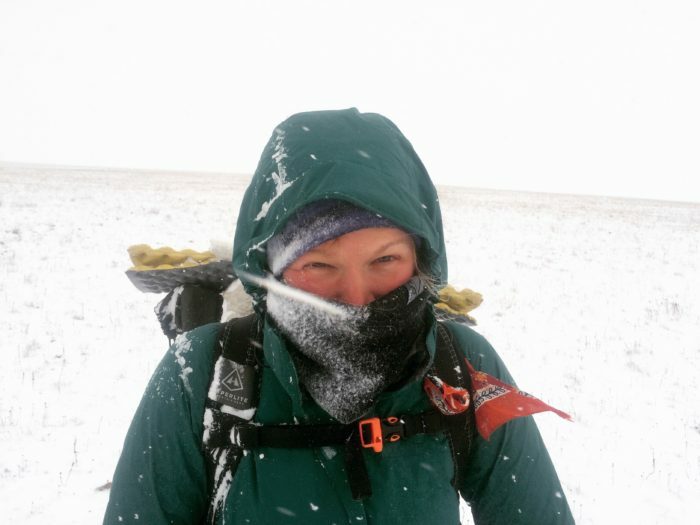 It can be tough to avoid snow on the CDT. It’s important to have a realistic grasp of our temperature tolerance and abilities to travel through it. We put up our blinders to opportunities outside our comfort zone. This idea of expectations clouding the core intentions of a thru-hike first grabbed my attention on the CDT in 2017. 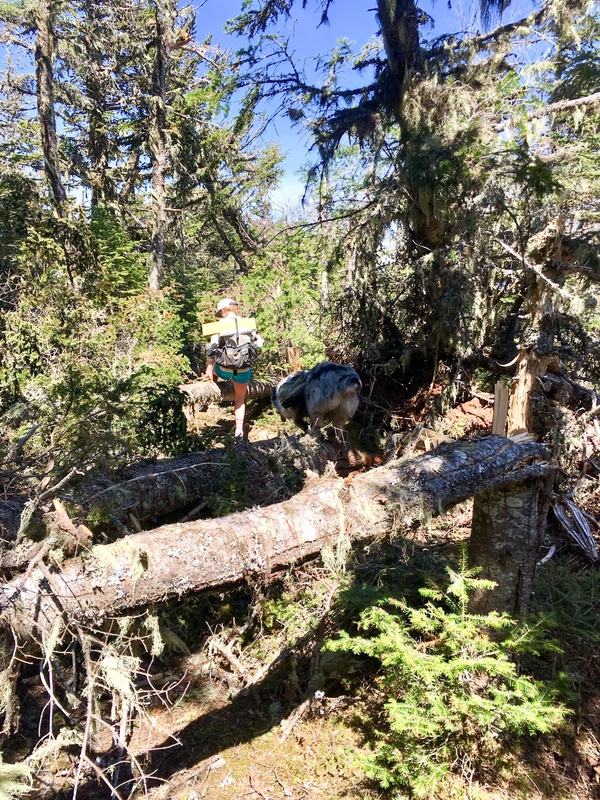 There were a small bundle of SOBOs, my dog and me included, that were forced to navigate a high snow year and early winter, narrowing our optimal weather window to complete the trail. Those of us that continued once snow hit Colorado learned that many of the SOBOs had decided to road walk or leave the trail entirely because of snow (when there’s not many hikers out there, you “know” most of them even if you’ve never met). This surprised me at the time, because there were so many notable mountain ranges left to walk through. Now I think it had something to due with the inability to change directions and reevaluate. When the snow hits, you can’t go ultralight or ultra-fast. Pack weighted down with cold-weather gear, you’re forced to take it one postholing step at a time. My partner and I didn’t do more than 22 miles in a day while bouncing around between low and high route options through Colorado. We were rewarded with snow-capped peaks and solitude. That experience forced me to embrace the unknown and not to plan even a few hours ahead. So, what is necessary preparation? Dog pauses to take in the view. Having a realistic grasp of your timeline. It’s important to understand the weather window on any given trail, and how that matches up with your time frame and skill level. Research snow levels in higher mountain ranges and understand what it means to set out NOBO in early spring or SOBO in late summer. What are the average levels of precipitation and temperatures in the areas you’ll be hiking? Set realistic expectations for your hiking pace, temperature tolerance and abilities in snow. For example: If you start NOBO on the AT in May, be prepared to hike an average of ~17 miles/day (this includes zero days) to reach the Northern Terminus in four to five months before the snow hits. Having the proper gear. To avoid any uncomfortable or potentially dangerous situations on trail, being adequately equipped is crucial. Once determining a time frame, be sure you are carrying the basics along with appropriate clothing, sleeping bag, and shelter for the season’s weather. Hiking environments change, which is why I recommend a bounce box to mail up the trail or “contingency box” back home (items laid out for someone to mail to you as needed) so you aren’t carrying extra items “just in case.” For example: It’s common to experience near freezing temperatures in the Southern California desert in March on the PCT. Always be familiar with your gear in a variety of environments prior to the start of a long hike. It’s not about having a perfectly ultralight kit dialed in prior to the start, but making sure you have adequate clothing and sleep setup. Having a general resupply strategy. It’s smart to have an idea of the food carry situation prior to any thru-hike. Invest in a good guidebook and search online resources to learn what the typical distance between town resupply stops is and how big they are (i.e., what kind of grocery store will you find there? Are there some that maybe you’d want to mail a food drop?). This does not mean having resupply boxes sent to every town up the trail. I don’t recommend this because there’s so much we won’t know months before our hike about our food preferences, calorie intake, or water availability. If you set a strict itinerary beforehand, then you could be locked into eating that couscous meal twice a week for the next five months. Resupply boxes for the Cohos Trail in New Hampshire. I began the AT with food boxes mailed and ended up ditching that whole plan early on and mailing my stove home because so many towns had large grocery stores that easily accommodated my vegetarian diet and had healthier dog food options. In hindsight, I wish I’d saved the stress of putting all those boxes together because they only complicate your logistics. 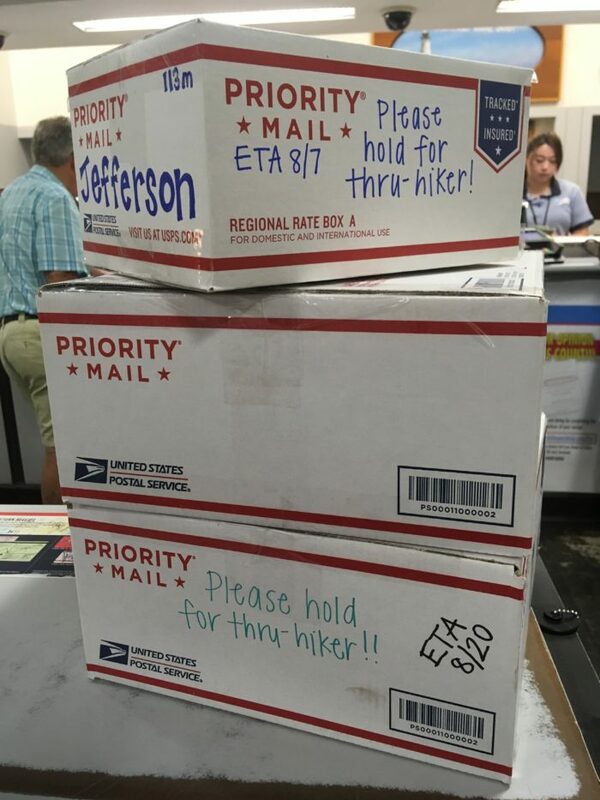 Thanks to guidebooks and apps like Guthook, hikers only need to think two to four resupplies ahead on most of these trails and can send boxes ahead from towns, doing it all while you’re already on trail and understand dietary needs. Think about water. In addition, if you’re hiking in desert environments, be familiar with water availability. Was it a wet winter? Will creeks be flowing? Check water reports often and plan your water capacity accordingly. We learn a lot by being on the trail. By walking every day, camping every night, and talking to other hikers. Don’t stress about buying expensive gear or knowing exactly what to expect… just go walk. Embrace the unknown. Well-said and all that but an “adventure” is just a screw-up that you manage to survive. Not necessarily… I think there’s a base level of knowledge you need to be safe but there’s so much that’s out of our control in the outdoors, the most effective way (in my opinion) to learn how to navigate those situations and survive the life-threatening ones is by allowing the adventure to happen. There’s a lot of room between a simple screw up and a situation that becomes about survival (I’m thinking.. trench foot vs. hypothermia) where learning can happen. Unfortunately, there is always the possibility of a screw-up so big that inexperience causes death.